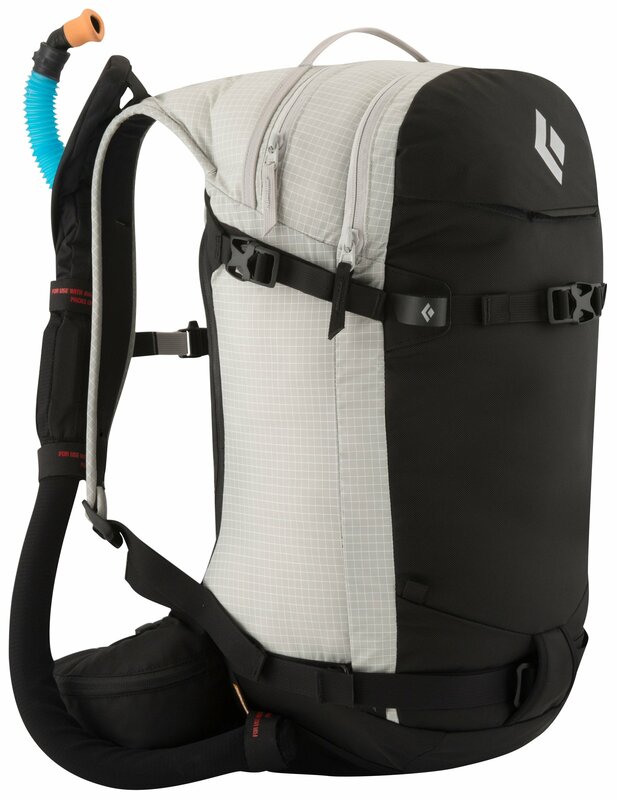 It is a sturdy and roomy 65-liter pack for the winter traveler or hunter with plenty of extras including pockets and tie downs. I like to travel in the winter woods mostly unseen and this German made WinterTarn Rucksack military pack helps me do that. 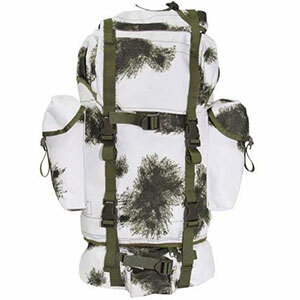 It is an official military pack and is made with quality. It has five external pockets and two main inside which can be separated by a drawstring cover. The main compartment also has a drawstring to close it all up from the outside. 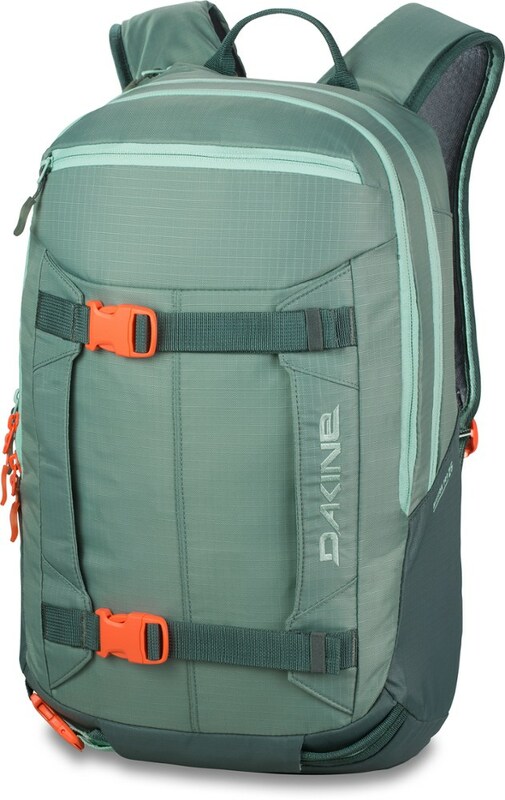 This is especially nice if you are carrying something oversized between the top and the main pack. With no back padding I slipped a piece of Ensolite into the inside back pocket which now also holds my license plate/grill for my Swiss Volcano Stove. The pad works great. Shoulder straps are padded and all straps are plenty long enough except for the biggest and most dressed carriers [like me] then the shoulder straps and belt are a bit tight. Anyone else would have no problem. 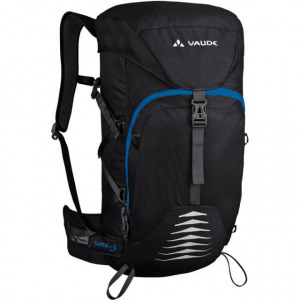 The two side pockets easily can carry water or fuel bottles or a Swiss Volcano stove. There are three outer top pockets; one is zippered and one is Velcro closed. One is roomy, one is for maps and the third is the same as the outer side pockets and strap closed. It has ice axe carrying adjustable straps and a pocket for the point and ski pockets too...plus sewed on loops for carrying tent or sleeping bag at the top and bottom of the pack. The bottom has a zipper so one can get at belongings in the bottom of the pack. I'd imagine this pack is quite water resistant. It weighs just over 3.5lbs. Prices vary from just under a $100 to over $40 online. I got mine through Amazon but have seen them elsewhere including eBay. Some do have a frame and back pad...mine did not. A couple words of caution, if using white camo: 1. Do not wear it in deer hunting season and 2. Bring along something orange large enough to be seen in case you need to be found! Thanks for the review, Old Guide! Can you tell us how much it weighs? I like stealth too. In fact, that was me behind the tree in your photo. It's strange that mainstream companies haven't found that sweet spot of stealth and lightweight yet. Usually we have to get military issue gear that is meant more to build endurance and strength than to move swiftly. Thank you for the review. Goose; I added the weight to the above but its just over 3.5lbs best I could measure it. Thanks for the review, Old Guide! Correction Plus-I'm told this pack weighs 2.7lbs not 3+ and I have found it in four other camos, brown khaki and also black. 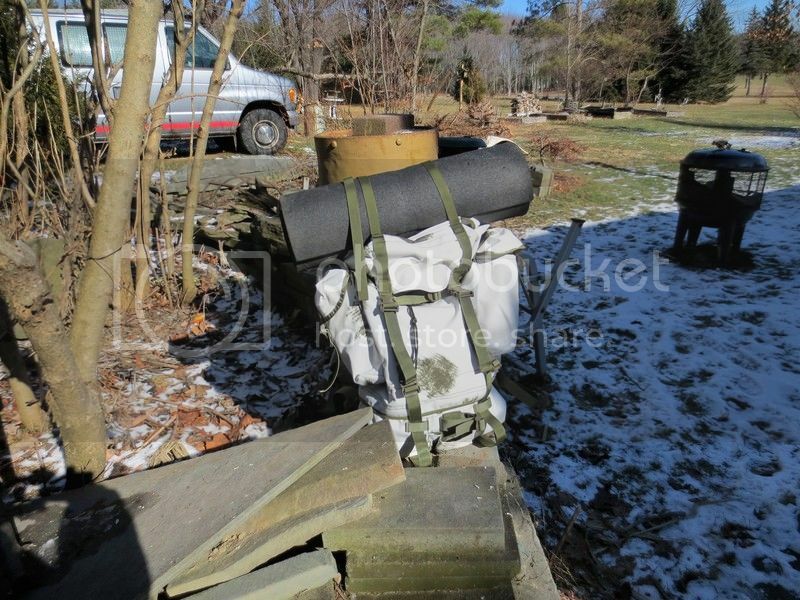 The MFH German Winter Tarn Rucksack is not available from the stores we monitor.